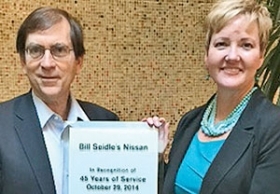 Michael Seidle, dealer principal at Bill Seidle's Nissan in Miami, receives a 45-year award from Judy Wheeler, vice president of Nissan North America's Southeast region. 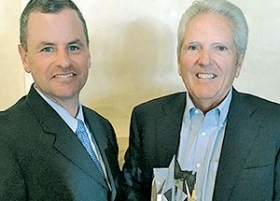 Tom Nokes, right, dealer principal of Antioch Toyota in Antioch, Calif., receives a 25-year award from Pete Carey, vice president of Toyota Motor Sales U.S.A.'s San Francisco region. 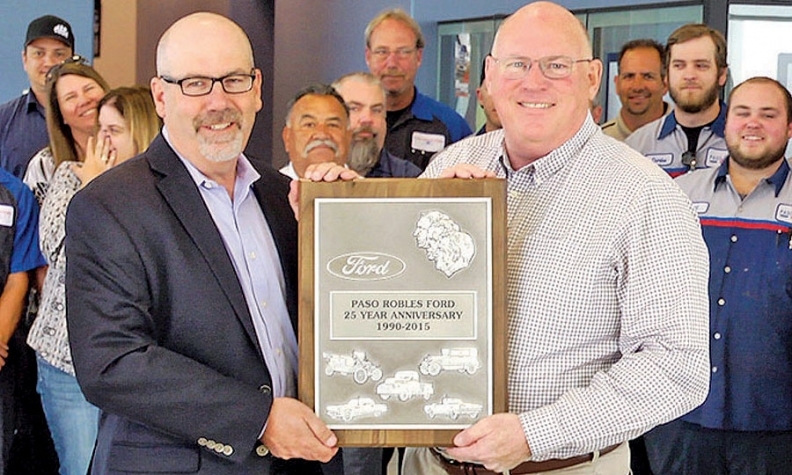 E. Clarke Moseley, right, dealer principal at Paso Robles Ford in Paso Robles, Calif., receives a 25-year award from Ray Parrish, Ford Motor Co.'s Los Angeles regional sales manager.